LA TRINIDAD, Benguet – Another history unfolds as the total of 274 learners of the Alternative Learning System (ALS) in the district of La Trinidad beamed with pride and joy during their graduation rites held at the Municipal Gym, here, on August 29, 2018. The graduates composed of the 7 elementary and 267 secondary successful passers of La Trinidad District in the Accreditation and Equivalency (A&E) test conducted nationwide last November 19, 2017 and March 4, 2018. Chessa Marie Selvino, a 2012 A&E test passer who pressed on with her college education and now an instructor at the Benguet State University, touched the heart of each one as she shared her life story full of challenges which she was able to conquer. She conveyed her gratefulness having been saved by the ALS program. The graduates were encouraged by Mayor Romeo K. Salda to tread the right way towards their hopes in life so someday, any of them will be the one to grace the ALS commencement exercises and be a living inspiration to other formal school drop outs due to various reasons but found direction in the said program. Meanwhile, the keynote speaker, Governor Cresencio Pacalso, thru his representative, Bryan Camhit, expressed the undying support of the provincial government to the ALS program and made mention of the more than 3 million approved budget for the repair of the old ALS building located at the compound of Puguis Elementary School. Likewise, stressed the impact of determination, perseverance and prayers in reaching dreams in life. Further, the district and division wide A&E secondary test topnotcher, Chin Chin Danao, was given due recognition together with the 7 others who performed well district wide. In like manner, the external stakeholders who had been supportive in several of the ALS undertakings were awarded with certificate of recognition. 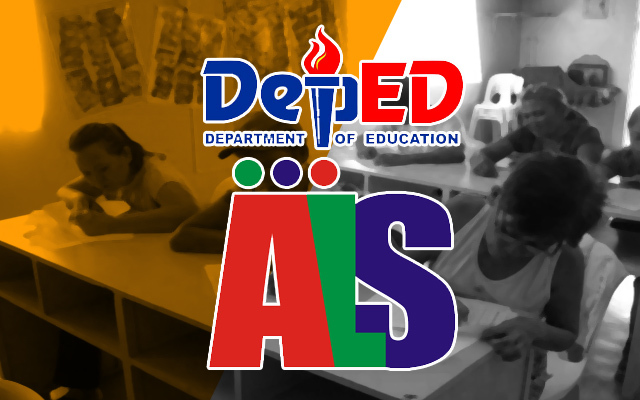 The assistant schools division superintended, Nestor Bulayo, hailed the graduates for their success and the ALS implementers for a job greatly done.